This time of year is filled with opportunities to gorge on all sorts of sugary goodies. 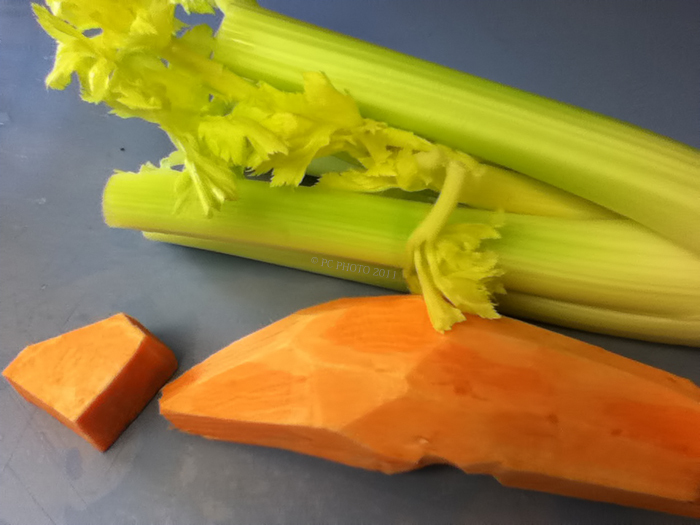 In an attempt of staying on track with healthier eating habits our SNACK or TREAT between meals is something crunchy like celery or carrots. While preparing dinner I snapped this SOOC with the iPod Touch of a sweet potato and some celery. Not enamored by raw sweet potatoes but someone may enjoy them as a raw snack.